Last week James Corner of Field Operations and and Ric Scofidio of Diller Scofidio + Renfro, two of the leads from the High Line Design Team, unveiled never-before-seen images of their initial concepts for the High Line at the rail yards, a section located between West 30th and West 34th Street to the south and north and 10th and 12th Avenues from the east and west. 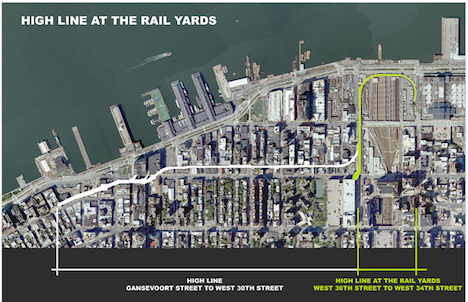 This last section extends the Meatpacking District and West Chelsea segments of the High Line into Hudson Yards, which—by the time construction is complete—will become New York's newest neighborhood, "a new kind of urban experience...with more than 12 million square feet of new office, residential, retail and cultural uses." 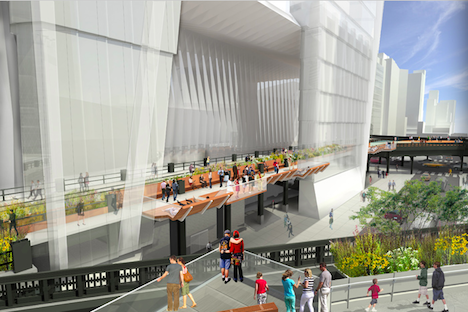 Final construction of the High Line is being carefully coordinated with the development of Hudson Yards. 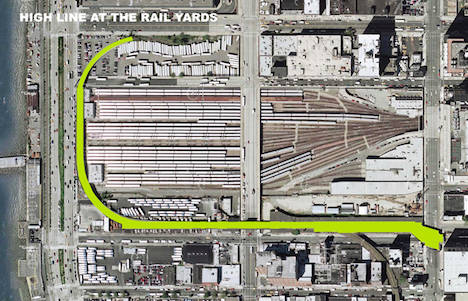 The MTA, who owns the West Side Rail Yards, an active train yard for the LIRR, has leased the property so that the platform can be developed. It's hard to believe that abandoned train tracks can be turned into 12 million square feet of space, but if the first two phases are any indication, the High Line Design Team delivers. 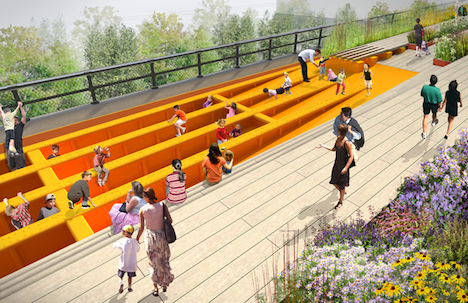 Take a look at some of the different concepts the High Line Design Team is tossing around, like dense plantings of wildflowers, 'play beams' for the kids and ampitheatre-style seating for outdoor performances. 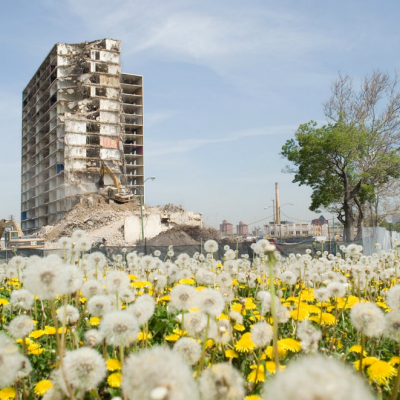 The estimated cost for the rail yards phase is $90 million, $20 million of which has been donated by the Diller-von Furstenberg Family Foundation and $5 million from Tiffany & Co. There are ways for all us non-millionaires to help, too. See how you can give. 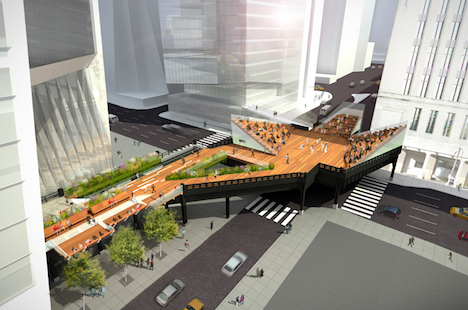 Given the tremendous success of the High Line, businesses that would benefit from the expansion should be eager to donate.